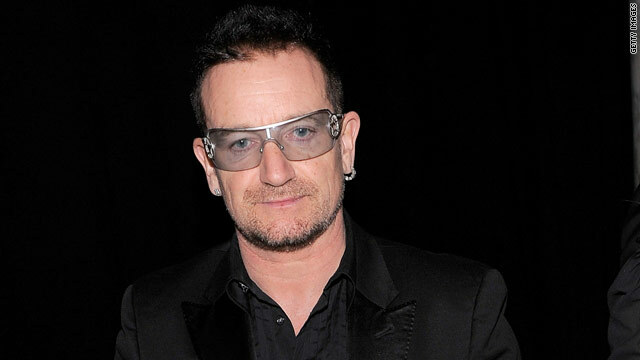 U2 singer Bono had emergency back surgery today for an injury sustained while preparing for his tour. (CNN) -- Bono has roadies to do his heavy lifting, but the U2 lead singer somehow suffered a serious back injury while preparing for his upcoming U.S. tour, according to the rock band's website. "Bono has today undergone emergency back surgery for an injury sustained during tour preparation training," the statement posted Friday said. Bono, 50, was admitted to the neurosurgery unit of a Munich, Germany hospital, it said. "Bono will spend the next few days there, before returning home to recuperate," it said. The next leg of the band's U2360 tour has been delayed, concert promoter Live Nation said. Fans with tickets to the June 3 show in Salt Lake City, Utah, will be told when that show will be rescheduled, Live Nation said. "We were due to start rehearsals on Tuesday in Salt Lake City and get the show ready for the next leg," U2 manager Paul McGuinness said in a recorded statement to fans. "There are going to be some changes and some new material." The canceled show dates will be rescheduled "as soon as possible," McGuinness said. "Obviously, it's been very disruptive for our crew, as well," McGuinness said. "We had over 400 people converging on Salt Lake City, and some of those have been turned around and told to stay at home until we make our new plan."